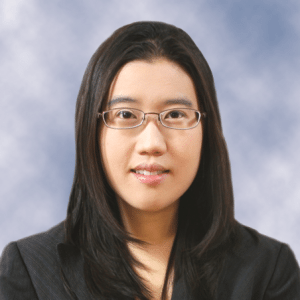 Mirae Kim is an Assistant Professor in the Andrew Young School of Policy Studies. She holds a master’s degree in arts management from Carnegie Mellon University’s Heinz College of Information Systems and Public Policy and a doctoral degree in public management from the School of Public Affairs and Administration at Rutgers University. From 2014 to 2017, She was an assistant professor in the Truman School of Public Affairs at University of Missouri in Columbia, where she initiated the Nonprofit Organization Research Panel (http://norpanel.org) project. Her research interests include nonprofit financial management, the role of 501c3 organizations in civil society, nonprofit arts management, and interorganizational partnerships. In particular, she examines the ways in which 501c3 nonprofit organizations can successfully balance their dual responsibilities as service agencies and as the central figure of civil society. She also explores how a community’s racial and economic diversity is related to the availability of nonprofit services. Finally, her studies attempt to identify the relevancy of financial ratios for predicting program success and sustainability of nonprofits. Her articles have appeared in the Public Administration Review, Nonprofit and Voluntary Sector Quarterly, Nonprofit Management and Leadership, American Review of Public Administration, Administration & Society and Journal of Public Budgeting, Accounting & Financial Management. Dr. Kim continues to lead the Nonprofit Organization Research Panel (http://norpanel.org). To learn more about her current research projects, please visit her personal site at miraekim.net.